The variety and complexity of bicycles and cycling accessories are far greater than ever before. While we sell and service plenty of basic bicycles, we also know all about the latest technologies such as hydraulic brakes, carbon fiber frames and components, tubeless tires, wireless shifting, advanced electronics, sensors, etc. Training, experience and being avid bicycle enthusiasts is what allows our technicians to take care of all of your service needs properly and efficiently, one more thing that puts us ahead of the rest. 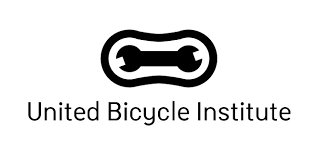 We have the most knowledgeable and experienced service staff in the area with several being trained and certified bicycle mechanics. Moreover, our large inventory of parts and the ability to get parts delivered overnight helps us get you pedaling again, quickly.​ The combined skills and experience of our mechanics allow us to handle all types of bikes and bike accessories from penny-farthings, antique bikes, trikes, recumbents, fat bikes and coasters to the most advanced frames, wheels, tires, brakes and bike electronics. Beyond service, we are always happy to discuss your bike's needs and help you decide what's best for you...bike-wise. We have graduates from both of the most reputable schools in the industry on our bicycle service staff as well as professional mechanics who have been in the bicycle service business for decades.